Top 15 benefits of oat meal. Till last decade oat meal was very rarely heard among the Asian population. 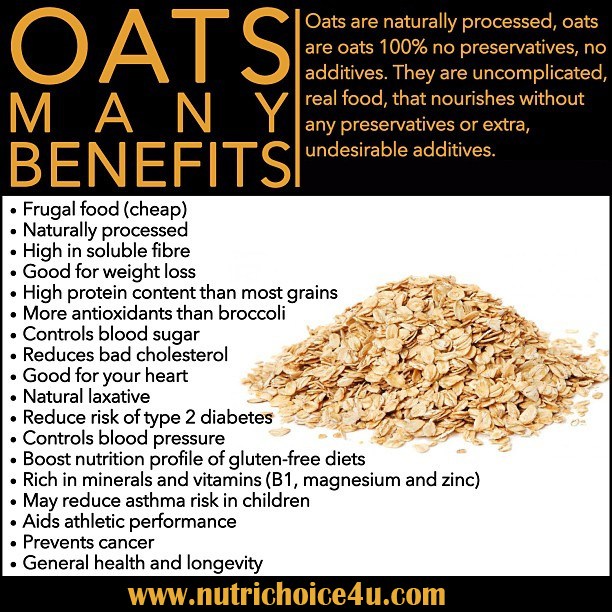 In recent few years oats have gained lots of importance due to its health benefits and its good effect on health. I would like to discuss few health benefits of oat meal which may enhance your health. Oats is a very low calorie food, hence highly recommended for weight loss diet. Oats are high is fiber which fills up your stomach for a longer time. Oats are low in fats and high in protein. Oats has bad cholesterol lowering effect. Oats have ability to control blood sugar levels of diabetic patients. Oats have ability to improve insulin sensitivity. Oats help in controlling blood pressure. 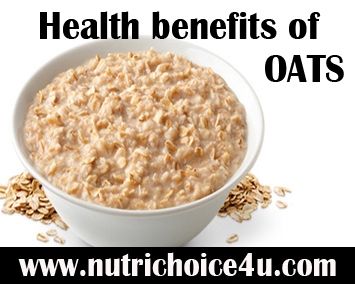 Oats helps to cure gastro intestinal troubles and diseases. Oats also helps in relieving long standing constipation. Oats contain lignans which helps to fight against the heart diseases and various cancers. Oats also contains glucans which improves the immune defense system. Cooked oat meal also helps to reduce fatigue whereas unrefined oatmeal reduces stress. Oats are rich in vitamins E, B1 and B2. Oat meal is considered excellent during pregnancy as it is rich in nutrients such as minerals and fiber. Top 4 Health Benefits Of Chia Seeds Top 10 Benefits of Green Coffee Health Benefits Of Indian Meal. 3 Responses to Top 15 benefits of oat meal. There is no doubt oatmeal are great for health. But can we go for ready to cook oatmeal available in market? Are there any additional preservatives in such kind of packaged oatmeal? Oat meal are definitely healthy but packaged oats meal products do contain additional preservatives and flavouring substances. You can check website http://www.purplekaddu.com where actually all the available cereal are compared based on their nutritional profile. Have a look it would be helpful. Excellent presentation of information about OATS. Keep it up.